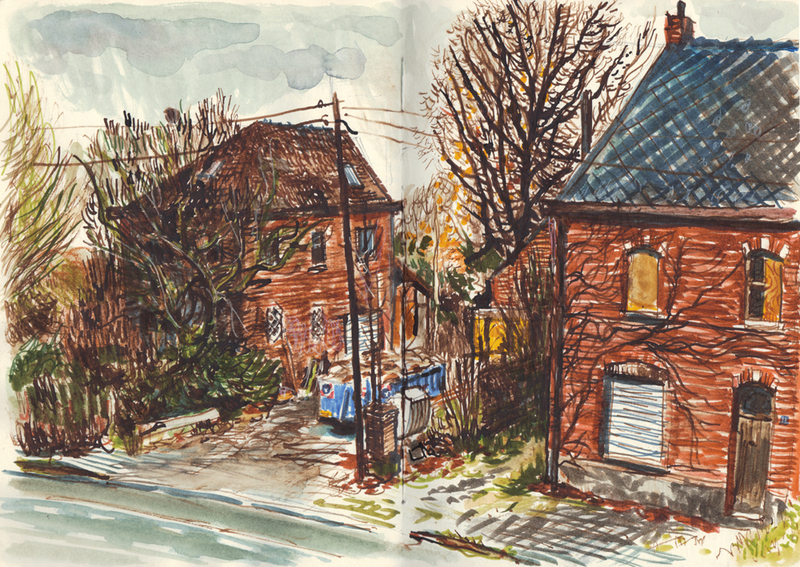 [By Jeroen Janssen in Doel, Belgium] For many yeas now I a going to Doel, the little Flemish village which is threatened to be demolished by the port of Antwerp. Many houses are abandoned: also the entire row of houses in front of my friend Peter's. 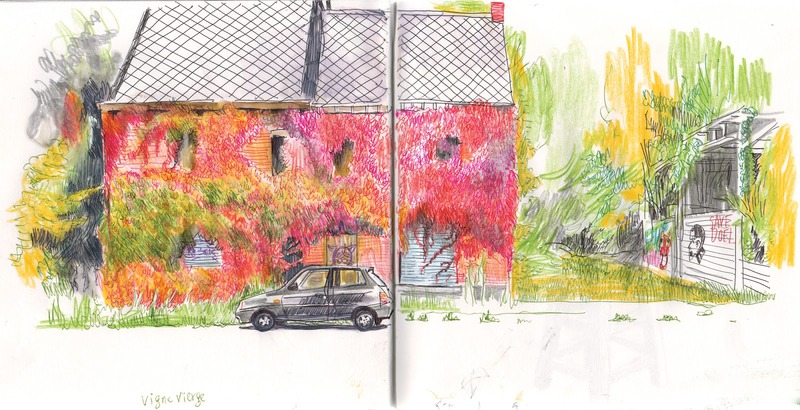 Last week I was enchanted by the beautiful reds and yellows of the virginia creeper, so I spend some hours sketching every little leaf.Peter: My mother learned us this plant is called "vigne vierge" in French. But even the virginia creeper is not safe for vandals, last year they damaged a part when stealing a drainpipe. Look at the bare part on the left of the house. Those empty houses are a real magnet for vandals. Sometimes I become so angry I go out and start shouting at them, then they flee away. Cowards!!! But that's not always a good idea, some of them came back at night to damage my car. 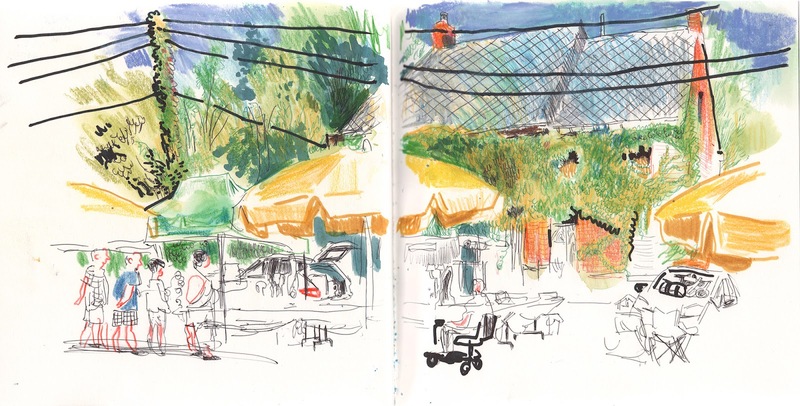 After finishing my sketch, I went home and started browsing in my old sketchbooks, to find the many times I sketched these houses. And was surprised to see the virginia creeper has not always been there. The oldest sketch has been made only five years ago.